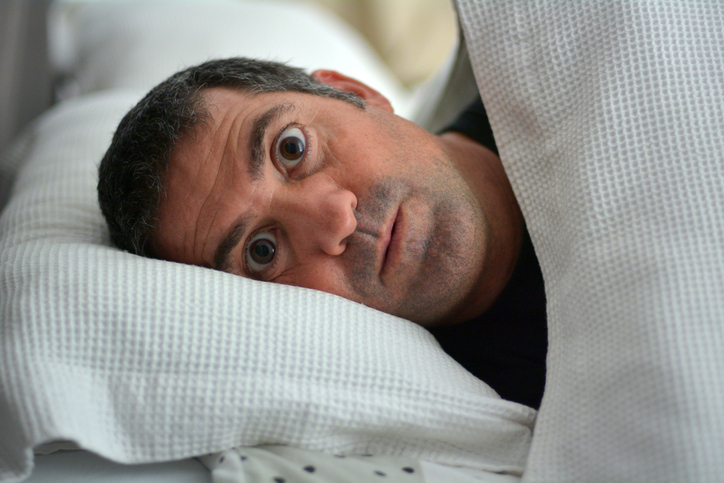 Sleep Deprivation Shocker: Toxic Indoor Air Could Be Keeping You Up At Night! Over the last six years, Statistics Canada has been quietly monitoring the sleep habits and sleep quality of Canadian adults. What they have learned is nothing short of shocking. One in every three Canadian adults doesn’t get enough sleep or enough high-quality sleep. A report by Science Daily tells us that up to 40 percent of Canadian adults suffer from some type of sleep disorder that regularly leads to insomnia. Currently, Canada is ranked just behind England and Ireland as the third most sleep-deprived country on the planet! When you don’t sleep enough and deeply enough, your risk of everything from diabetes to obesity to heart disease to depression spikes. Not getting enough sleep is expensive and life-limiting in every way. But what can you do about it? Perhaps you’ve already tried lowering the lights, turning off the TV and your mobile phone, sipping tea, meditating…still, you lie there tossing and turning. There must be something else you can try! There is! As it turns out, your indoor air quality has its own important role to play in the quality of sleep you get each night! Just south of the border, our continental neighbors have spent the last five years gathering data on the correlation between air pollution and poor sleep quality. Findings showed that too-high levels of nitrogen dioxide and airborne pollutants called PM 2.5s can irritate sensitive nasal and respiratory passages, leading to inability to fall asleep and stay asleep. Six U.S. cities were studied, and participants were ranked based on exposure to air pollution and sleep quality. Participants exposed to the highest levels of pollution had the poorest quality of sleep. Nitrogen dioxide is produced as a by-product of automobile exhaust. PM 2.5s are tiny toxic airborne particulates—each one is about 1/30th the width of a single human hair. They arise predominantly from burning fossil fuels, including tobacco, wood, diesel, oil, pellets, simulated wood logs, and other similar materials. Suffice it to say that both nitrogen dioxide and PM 2.5s are present in the air nearly everywhere in the world today, and more so as air-cleaning green life is increasingly cut back to make more room for urban construction. Scientists say this newest study confirms what is already known about how nitrogen dioxide and PM 2.5s can impact body systems and functioning in both mild and severe ways. When air quality research was still quite new, the thought process was that the outside air was toxic and the inside air was safe. After all, the outside air is where all the smog and pollution are, right? But researchers now know that when outside air is toxic, inside air is nearly always much more so. To this point, the U.S. Environmental Protection Agency (EPA) released a booklet stating that concentrations of common airborne pollutants are anywhere from two to five times higher indoors than outdoors! Since Canadians, like Americans, spend an estimated 90 percent of each day inside, it stands to reason that by the time you are ready to go to sleep, your body is chock-full of sleep-interrupting contaminants! What Is Polluting Your Indoor Air? So we know that nitrogen dioxide and PM 2.5s are circulating in your indoor air supply. But what else is making indoor air at home and work more toxic than the air you breathe outside? Combustion by-products: cooking, heating, cooling, etc. Construction and furnishings: fabrics, laminates, particle board, insulations, carpeting, etc. General human activity: candles, commercial cleaning products, air fresheners, personal care products, smoking or vaping, pesticides, fertilizers, DIY crafts or renovations. Each of these areas can release potent chemicals and compounds into the air, from formaldehyde to carbon monoxide, sulphur oxides to carcinogens. Since many of the activities that create airborne pollutants inside the home or workplace are done daily and sometimes many times each day, it is surprising that indoor air is not even more toxic than it already is! So there they are—the sobering indoor air quality (or lack thereof) facts. After reading through this article, we wouldn’t blame you if you rushed to throw open doors and windows around your house! But clearly, this isn’t the right answer, either. Outdoor air may be cleaner than indoor air, but it still isn’t “clean.” It is still relatively polluted and toxic to breathe in. So what can you do to clean up your indoor air supply? The good news here is, you can do a lot! Let’s start with the PM 2.5s. If you’ll recall from earlier, these tiny airborne pollutant particles measure just 1/30th the width of a single human hair. But guess what can filter out airborne toxins up to 1/100th the width of a single human hair? A high efficiency particulate air (HEPA) filtration system! HEPA filters do an amazing job of keeping toxic particles out of your home, office, and lungs. They come in room-size or whole-home size systems. Whole-home systems can be retrofitted to work with any type of HVAC system. Another option that works equally well from a different angle is an ultraviolet air purification system. This type of system doesn’t filter out the airborne toxins. Rather, it zaps them into oblivion. UV air purifiers also come in room-sized and whole-home systems, which can be retrofitted to work with any type of HVAC system. Are you ready to put your sleepless nights behind you forever? Give us a call at 905-544-2470 and save 20 percent on whole-home indoor air quality equipment!